THINK PIGS CAN’T FLY? THINK AGAIN! They told him that he can’t be a world-class fly designer, but look where true passion got him! Stu’s flies are backed by his reputation and won’t let you down. Accept nothing but the best. It takes time to get it on the hook, you want to know you have the best chance of keeping it there. SELF PROCLAIMED SUPER GEEK FLY FISHER MOBILE! When you are into catching fish like Stu is, then it’s only natural to want to wear it too. If you are going to be a man’s best friend then you better get into his sport too. FROM THE TOP OF THE WORLD TO THE BOTTOM! 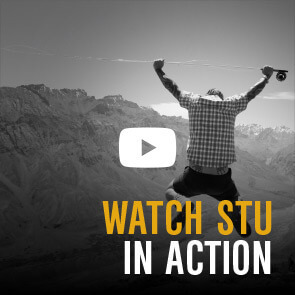 If you want to catch fish, Stu will show you how it’s done at his NZ Fly Fishing School. 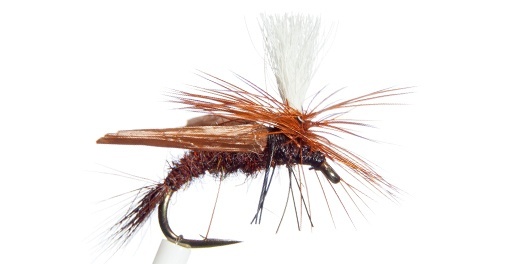 STUS SUPERIOR FLIES - DON’T TRUST YOUR DAY TO ANYTHING LESS. If you think you have tried everything and haven’t found the perfect fly for the job, then you haven’t discovered Stu’s Superior Flies yet! Once you get to know Stu and his best buddy ‘Trigger’ then you will understand that a fly design is never finished until it’s been rigorously tested and perfected. This may take years, but the results speak for themselves! He only uses the best hooks and his reputation has been built on his promise of being the best. 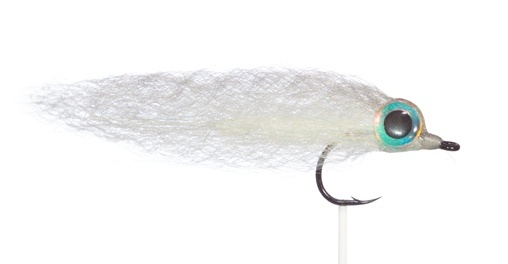 Dry flies, light or heavy wet flies, for baitfish or in saltwater - for the appetite of every fish, Stu has the fly. Big eyes for big fish! This strapping young fly was born to do one thing and one thing only - bring you more strikes! A top seller and fish catcher. Realistic / durable lightly weighted, it looks like a nymph in and out of the water. A cracker of a fly! 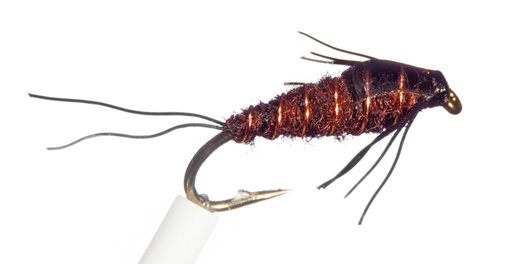 This fly hangs suspended vertically in the surface film. 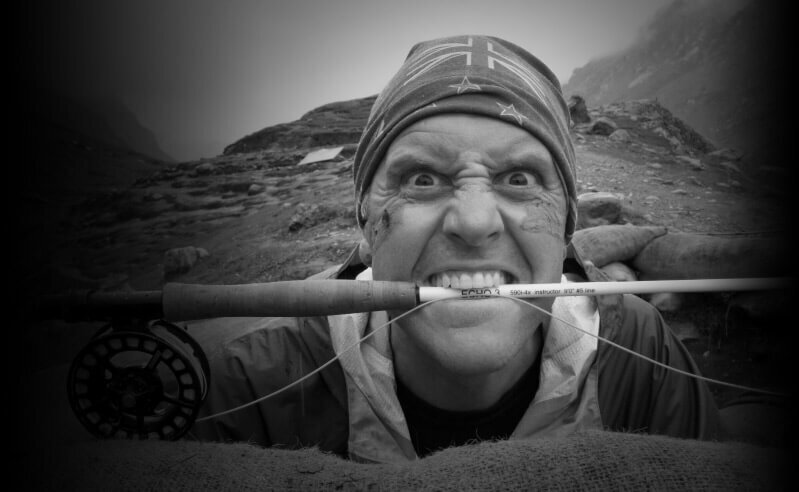 He’s the owner of the the New Zealand Fly Fishing School and a certified IFFF Master Fly Casting Instructor. He’s obsessed with everything to do with fish and has devoted his life to designing a range of internationally famous flies. He loves to share his passion with everyone he meets and has built his life around it. Literally! Visiting his school is visiting his home. He’s the real-deal, the authenic fly-fisher fanatic that you can trust to infect your day. It’s not just fishing, it’s a way of life. This photo took days of waiting and early mornings with my fingers crossed. Up your game. 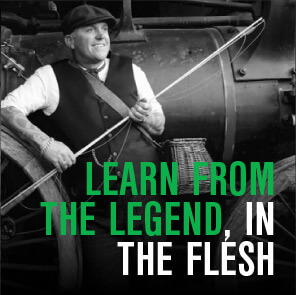 Learn absolutely everything you need to know at the New Zealand Fly Fishing School. 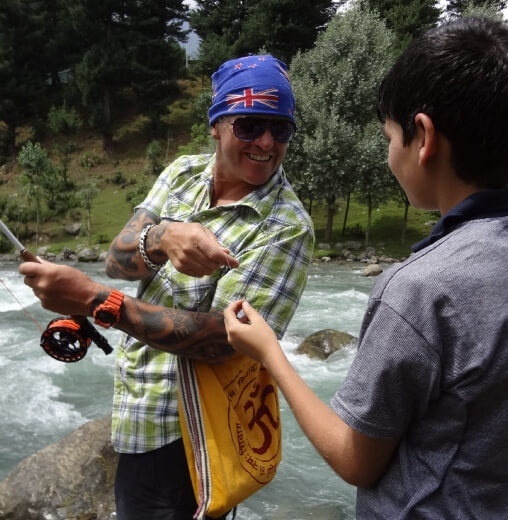 Stu runs a purpose-built Fly Fishing School in the picturesque town of Athol, 45 minutes drive from Queenstown. Whether you’re a beginner or an expert, learn everything there is to know about the facinating world of fly fishing. Classes are run over a day (or three) or can be tailored to the individual. Learn casting techniques, trout facts and their feeding habits, entomology (food), flies, tackle, leaders, basic knots and construction. 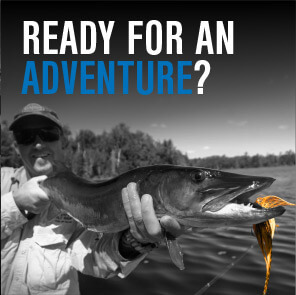 You can even learn the art of tying your own flies ....or go on a fully guided adventure to test out your skills! Bring you kids and all of your gear... or simply turn up on your own and Stu will sort out the rest. It will be an experience that you will never forget! I booked a casting lesson and a guided fishing trip with Stu. From the very first phone call to the end of the trip I could not have experienced a more curious, helpful, knowledgeable pair. Stu was all you could ask of a guide and had the patience of a saint. I highly recommend anyone interested in fly-fishing to make the journey to Stu’s Fly Shop. Thank you for an unforgettable experience. Stu quickly assessed my ability and put me in a position to be successful. The Gods were with us as the weather was great and we were sight casting often. Great coaching through out the day improved my casting significantly. The Shop is cool with opportunities to not only buy reasonably priced gear but several impulse buys as well. I decided years ago if I was going to learn how to fly cast, I would seek out the Master and get it right from the start. I had been waiting weeks for this lesson and it was the highlight of my trip to NZ, thank you Stu. For years I have been hiring Stu’s services as a guide, for years he has hinted that maybe I needed a casting lesson. As I have fly fished over 50 years and caught nearly every species possible on a fly I thought – I do not need help with my casting as I catch fish. Ended up doing a casting lesson with Stu. I should have done this years ago - I would have caught even more fish, been able to cast with accurately into the wind, load my rod properly and Stu would have had far less tangles to undo. I can not recommend Stu ,his knowledge and patience enough, and yes I, will be having another casting lesson, tune up, next year before I go out guiding with him. Dear Stu, I've followed your journey the last 25 years and I tell you what a pleasure it's been to watch someone walk the walk - not just talk or complain about life. A full life indeed and more chapters to go! Keep up the great work that you seem to keep doing, you are a leader not a follower. Big thanks for the glo bugs you sent me - they worked a treat, and the hook stood up to the test, I caught a 32lb beast, scrapped with it and landed it! This jack was 93cm long by 37cm deep - it was certainly was an advantage on the day having a different colour egg pattern to the rest of the mob fishing. I'm a long time supporter and avid fly fishing addict of yours. 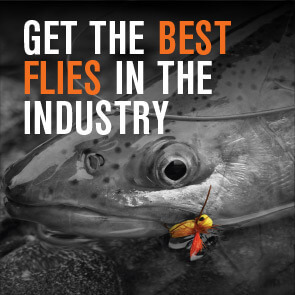 Without blowing smoke up your arse, I believe you have helped change this fly fishing game and industry we love! Your individuality and punk rock style has opened up the doors to characters that don't necessarily fit the tweed wearing, high earning profession. Diversity is good for our sport, I know you've made me feel more welcome as young hip hop listening guy entering the game and even the river! Your fly design and innovation from outside the box has helped my progression, and not to mention some of the best fish catching flies I have ever used - they truly are superior! "Pleasure in the job puts perfection in the work." Aristotle. Thanks again for your incredible flies. Apart from the journey and aim to catch fish, I find myself playing with these minnows in the water in front of me and am in awe at how well they move and are balanced. Superb workmanship!